From the Legend of Zelda video game series comes this amazing, officially licensed rupee chest! This high quality trunk features the classic sound when Link opens a chest to reveal three rupee paperweights. Shut up and take my rupees! 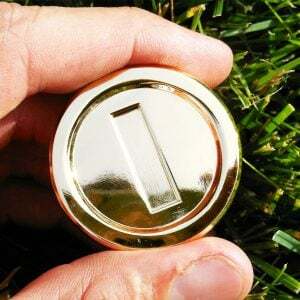 Get ready to become a Hero of Time with the world’s number one dice game! 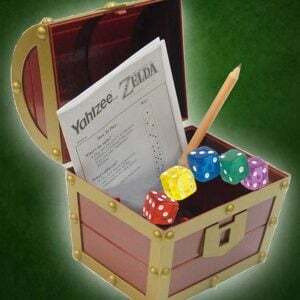 Only you can save Princess Zelda and Hyrule from the forces of evil in this must have collector’s edition of the Yahtzee game with a Zelda twist! Kirby may be a master at sucking up his enemies, but he’s also made himself handy at sucking up water! This large and absorbent bath towel features everyone’s favorite marshmallow-like hero hanging on a warp star. These elf earphones from Japan are an awesome and affordable way for lovers of fantasy and music to listen to their tunes. The deceptively clever design are made from flesh colored materials in the shape of the pointed elf ears. Lather yourself up in some nostalgia and relive your favorite childhood moments in the tub! Each bar of soap looks exactly like the classic Nintendo 64 cartridges we all spent a great deal of our childhood playing.